A popular trend has emerged in the business world; a trend that, in all its poorly thought-out glory, throws an entire generation under the bus for the ineptitude of failing industries. From napkins and cereal to big banks and homeownership, Millennials have apparently lain waste to well-established businesses like Baby Boomers making fun of younger generations: with hopeless nostalgia and reckless abandon. However, if you think about it for more than a few seconds, you’d realize something rather significant: Millennials aren’t killing anything. We’re just broke and all these outdated businesses are rightfully falling by the wayside. If you hadn’t heard this yet, your Millennial news alert must be broken. Other than our murderous ways when it comes to business, Millennials have been defined by our lack of sufficient funds. Maybe it’s because of student debt. Maybe it’s because of avocado toast. The only thing we know for sure is that we don’t have any money, and the numbers back us up. 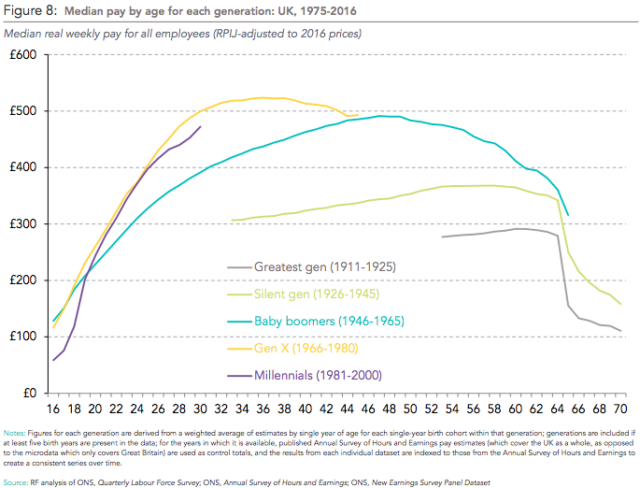 Studies have shown that Millennials are earning approximately $10,000 less than members of Generation X (born between 1961 and 1980). These numbers are even worse considering Millennials will likely make $100,000 less in their entire careers compared to their older counterparts. Kind of puts the whole “Millennials are killing homeownership” thing into perspective, doesn’t it? 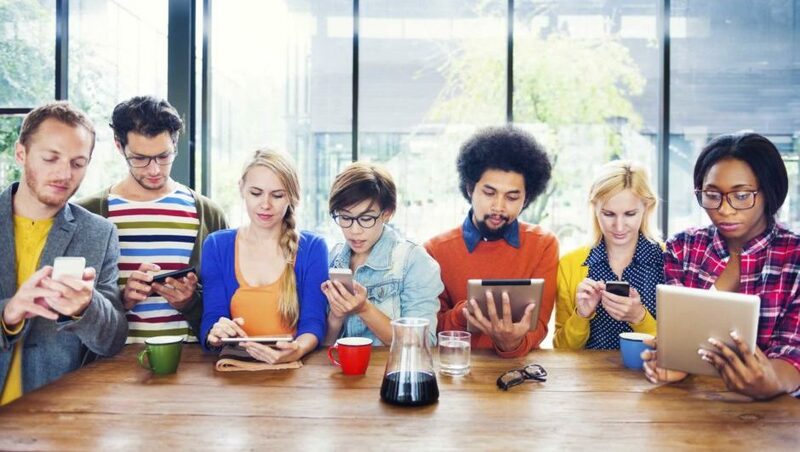 To start things off, Millennials admittedly hold a grudge against some of these businesses. Let’s be honest: big banks screwed us with student loans, cereal made us fat, and napkins are just less absorbent paper towels. Why on Earth would a generation increasingly tormented by these now-failing industries feel the desire to support them in any way, shape, or form? This decidedly reasonable grudge could easily explain our bloodthirsty ways when it comes to business. However, we’re not just being blamed for the death of industries that profited off of our desire for education, our sweet teeth, and our necessity for clean hands. Millennials are also being blamed for the death of frivolous, idiotic, and downright offensive industries like “Breastaurants,” the most popular of which is Hooters. Really, Baby Boomers? Is this the hill you want to die on; the hill that adamantly and sincerely defends a restaurant named after the most objectified part of a woman’s body? Are you seriously going to bat for a “breastaurant” that was built on scantily clad waitresses, mediocre wings, and beer that tastes like it was squeezed out of a six-month-old sponge? We aren’t malicious. We aren’t unpatriotic. We aren’t even that broke. What we are is smart enough to know the difference between a good business and a bad one. Chain restaurants like Applebee’s, Buffalo Wild Wings, and Hooters, for example, are not “American institutions that need saving.” They are painfully outdated monuments to what this country used to be: cheesy, corny, and kind of offensive. This trend has become a crutch in more than just the business world. The media has taken to blaming Millennials just as much, if not more than their business-y colleagues. As you’ve likely noticed, Millennials have been the focus of countless articles condemning our “psychologically-scarred” generation for our desire to kill when it comes to these industries. And if you haven’t noticed, where have you been? To think that Millennials are anything more than the product of the Baby Boomer ideology is naively foolish at best and maliciously misguided at worst. We can’t buy homes because you took all our money, we don’t have credit cards because you ruined our credit, and we don’t go to Home Depot because we don’t own homes or carry credit cards. It’s that simple. Capitalism was built on the ebb and flow of the market. These once-popular industries are merely victims of the natural order we’ve all agreed to abide by in the business world. One generation is not to blame for the demise of a business; that business’ inability to adapt to future generations is. The lesson to learn from the Millennial killing spree is that change is inevitable, and your business needs to adapt. I must admit though, after being called lazy, whiny, participation trophy-loving snowflakes by past generations for so many years, it’s nice knowing that we’re now verifiable killing machines feared by titans of industry around the world.